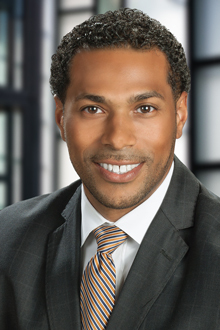 Vincent Alexander is a partner in the Fort Lauderdale office of Lewis Brisbois and a member of the Bankruptcy & Insolvency and Complex Business & Commercial Litigation Practices. Vincent has extensive experience in bankruptcy reorganizations and liquidations, out-of-court restructurings, asset sales, and bankruptcy- and insolvency-related litigation. He regularly represents debtors, equity holders, Chapter 7 and liquidating trustees, and unsecured creditors' committees, as well as other creditors, in bankruptcy proceedings and related litigation. In addition to his bankruptcy and insolvency matters, Vincent has substantial experience successfully representing clients across a wide range of industries in complex litigation matters, including fraud, trade secret and restrictive covenants, breach of contract, unfair and deceptive trade practices, fiduciary issues, and sports and entertainment. To aid in his representation of clients, Vincent has also obtained the Certified Fraud Examiner credential. While in law school, Vincent was an intern to the Honorable Robert A. Mark, Bankruptcy Judge for the Southern District of Florida. Before becoming a lawyer, Vincent was a linebacker in the NFL with the New York Jets and Arizona Cardinals.